Kings XI Punjab comfortably won the match by 6 wickets. 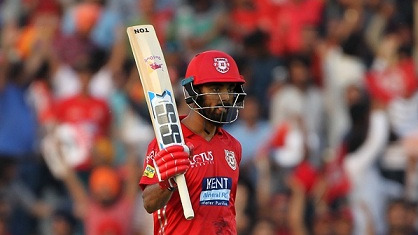 Kings XI Punjab won the match by 5 wickets against the Delhi Daredevils at IS Bindra Mohali stadium.KL Rahul was awarded as the Man of the Match for his explosive batting that was actually the turning point of the match. Team Circle of Cricket gets down to list the 5 talking points of the match. Click on the links to get onto the next page. Gautam Gambhir the captain of Delhi Daredevils played a very strong innings scoring 55 runs and taking his team to 166 runs. Gambhir was playing some intense shots and played a captain's knock for his team. The latter has returned home after 7 long years, earlier he captained Kolkata Knight Riders and made them win two IPL trophies too. Gambhir arriving back in Delhi Daredevils camp will be a real boost for all the other teammates. 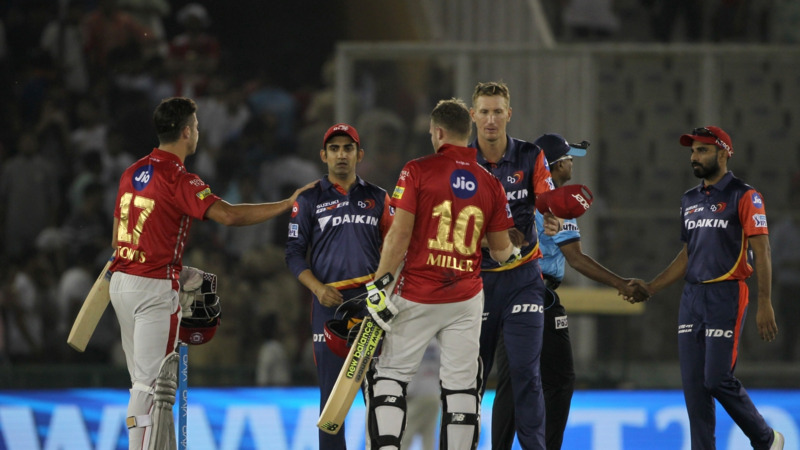 Unfortunately, Mujeeb Rahman's direct hit made Gautam Gambhir walk back to the pavilion after a handy knock. Besides Gambhir's powerful innings no other batsman looked comfortable in the middle with just a few boundaries from Chris Morris that took their score to 166 after 20 overs. 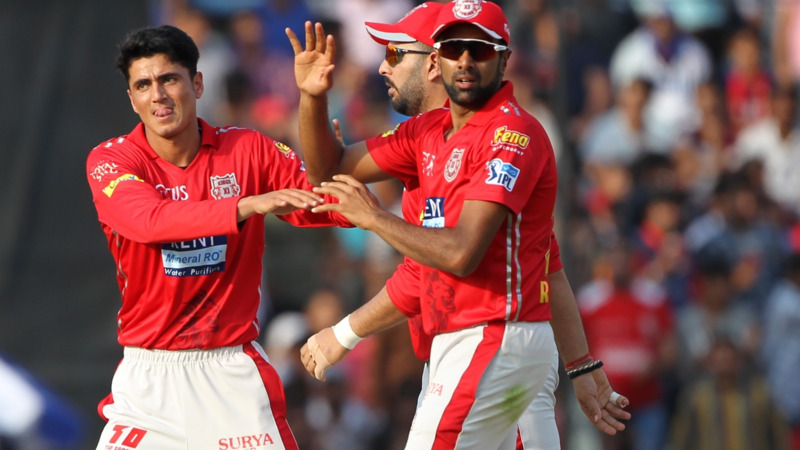 Mujeeb Rahman, a 17-year-old cricketer from Afghanistan had a very fresh start to his IPL career. In today's match, he took 2 wickets after just conceding 28 runs at an economical rate with a run out of Gautam Gambhir as well. He bowled some carrom balls as well due to which Delhi's batting line-up was not able to play his bowl freely. Mujeeb Rahman is also the youngest player to be sold at an IPL auction, he was only 16 when he was sold to KXIP for Rs 4 crore. KL Rahul started off with his innings very rapidly with scoring boundaries all over the park. Rahul now has broken Sunil Narine's record of the quickest half-century in just14deliveries. Rahul is an efficient T20 player who can single handily take away the game from the opposition. After his brisk innings, he made it look very easy for other batsmen to score and win it for KXIP. In fact, he is one of the players who has scored a T20 century for India at an international level. After Rahul's and Yuvraj's wicket, Karun Nair started off to take responsibility on his own. Karun Nair played a crucial inning of 50 runs to secure a win for his team. He looked more confident while batting in today's match against DD. He timed the ball really well especially against the spinners, rotating the strike he was shining on the field today with a handy exceptional performance. Kings XI Punjab won the game by 6 wickets beating Delhi Daredevils at their home ground at IS Bindra Stadium, Mohali. It was a team effort by the whole team, talking about batting, bowling, and fielding they were superb in all the department today. KL Rahul and Mujeeb were the stars today winning off in a magnificent style. One reason for Delhi's defeat was their wrong batting order. During the match, they had sent Chris Morris and Daniel Christian lower in the order because Rahul Tewatia was promoted up in the batting order. Morris and Daniel Christian are well experienced international all-rounders who were sent into bat very late in the 16th over, maybe sending an inexperienced player before the regular all-rounders was what cost DD the game.